Whoever has already set foot on the premises of Philippi Village, where Abalimi has its HQ , has likely gotten in touch with Babalo, a young entrepreneur who grew up in the Eastern Cape on his grandfather ́s 16 hectare farm. Babalo noticed that Imphepho was growing wild everywhere on the farm. Imphepho is a traditionally important indigenous herb, perhaps best known as a ritual incense used during healing ceremonies. 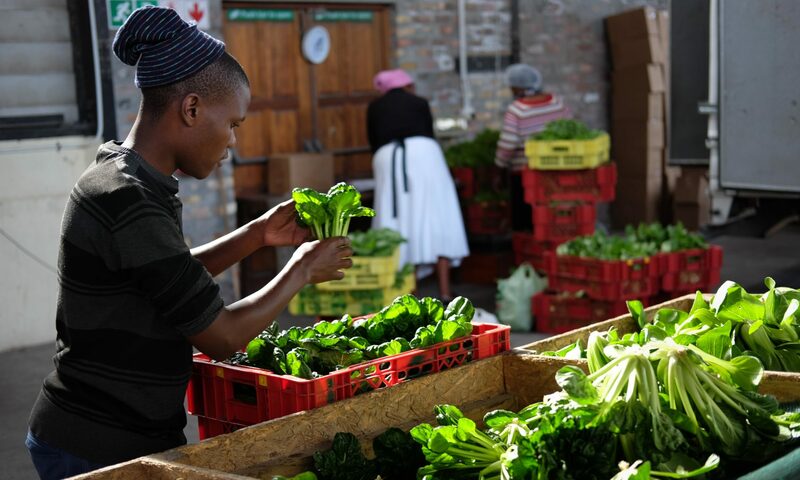 Convinced by the good quality of the Imphepho and with a small start-up donation from the Farm & Garden Trust, he decided to harvest it sustainably and bring it back to Cape Town, earlier this year, for selling to the community. Imphepho has many uses – as an antiseptic, insecticide, anti-inflammatory and for pain relief. The parts of the plant used are mainly the leaves, stems and flowers and sometimes the roots. New born babies are washed in Imphepho to cleanse and protect them. The herb is stuffed in bedding for both humans and animals to repel insects. The plants are usually wild harvested and plated in garlands or tied in bundles before drying. Babalo managed to get dozens of 40 kg bags full of Imphepho via Bus from the Eastern Cape to Cape Town as his start-up stock. Babalos spiritual mission is to”strengthen the souls of people, who have been lost in the city, by reconnecting them to the land, sustaining African cultural heritage and any kind of good business.” while also supporting himself and his wife and two children. He is also starting a charcoal from wild Acacia tree business. Currently he is sustainably harvesting huge forests on his family farm in the Eastern Cape.